Waiting on Wednesday is a weekly meme hosted by Breaking the Spine where the participants tell their readers about an upcoming release they are waiting to read. This week I've picked Wreck by Fleur Ferris. Tamara Bennett is going to be the first journalist to strictly report only good news. Finished with high school, Tamara is ready to say goodbye to her sleepy little town and part-time job at the local paper. O-weeks awaits, which means parties, cute boys and settling into student res with her best friend Relle. Things take an unexpected turn, however, when she arrives home to find her house ransacked and her life in danger. What is this mysterious note? And why does it mean so much to one of Australia’s most powerful media moguls? Caught between a bitter rivalry and dangerous family secret, who can Tamara trust? Or should she trust herself? 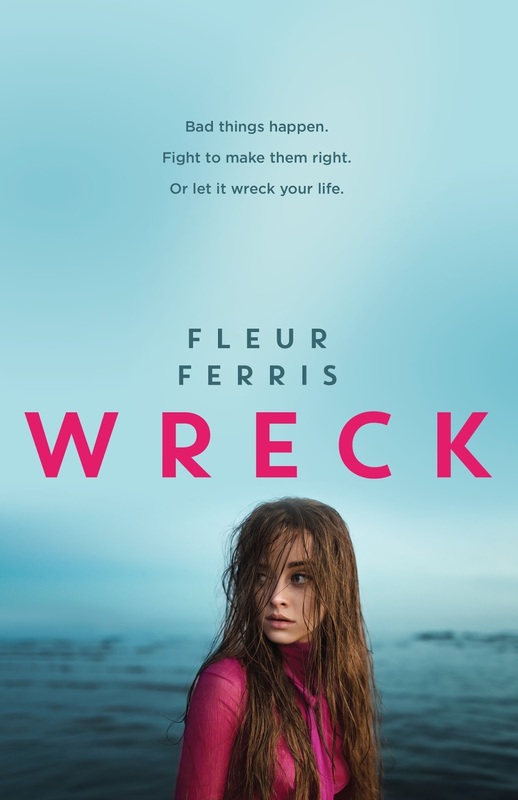 Fleur Ferris definitely knows how to write a #LoveOzYA thriller with suspense and unexpected twists if Risk and Black are anything to go by. The blurb for this latest release definitely has me intrigued, and I can't wait to read it as soon as it's released! Yesss, I'm really looking forward to Wreck as well seeing as I really enjoyed her last two books! Thanks for sharing Genie! It looks like it's going to be a great read! Ooh this sounds totally intriguing! I've only read one book by this author and I'd definitely like to try more some time! Ooh I hadn't heard of They Both Die at the End - I'll have to check that one out! Risk is really good - harrowing, but a brilliant read. I know what you mean - there's so many new releases to keep up with! You certainly should - they don't disappoint!